1. Key Ring lets you store your loyalty and membership cards in one convenient place, along with access to tons of weekly ads and coupons for your favorite stores. Compatible with iPhone, iPad, iPod touch (requires iOS 9.0 or later), and Android 4.1 and up. Download it for free from the App Store or Google Play. 2. My Weekly Budget simply helps you set a budget for the week ahead, log what you spend while you spend it, and show you how much money you have left in your budget. Plus, it features a super simple interface. Compatible with iPhone, iPad, iPod Touch (requires iOS 8.0 or later), and Android 2.1 and up. Download it for $0.99 from Amazon. 3. Qapital offers simple mobile banking — you can open up a free checking account, get a Qapital Visa debit card, and take control of your spending habits in a smart way. Compatible with iPhone, iPad, iPod Touch (requires iOS 9.0 or later), and Android 4.4 and up. 4. Home Inventory, while it may not seem like a direct money-saving app, is huge in helping you manage home-related finances including insurance, home management, and estate planning. Compatible with Mac only (requires OS X 10.10.0 or later). Promising review: "The Home Inventory app is AWESOME!!! It is extremely well designed and laid out which makes the tedious and daunting process of cataloging hundreds of items EASY and FUN!! I experienced a tremendous reduction of stress and anxiety knowing that all of my possessions and valuables are catalogued in a secure and safe place. If I ever need to file an insurance claim of any kind, I have total confidence that I will be reimbursed without any difficulty or complications. This is very important because I live in an area where there have been several wildfires and natural disasters. This app allows you to continually work on inputting information over a period of time and you can be totally organized and confident throughout the process. I recommend this app to everyone." —Relax !!! Download it for $39.99 from the App Store. 5. 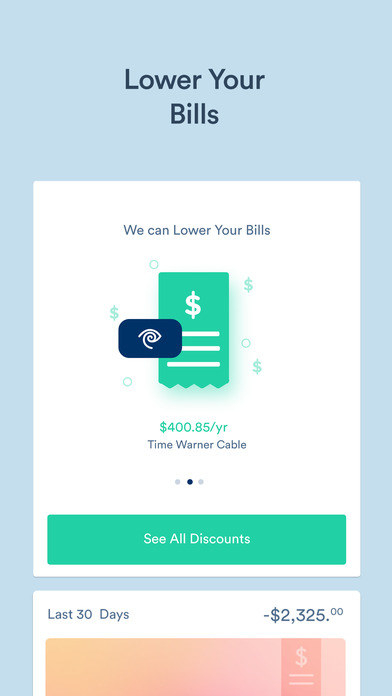 Ibotta rewards shoppers with cash back rebates when they snap pictures of their receipts, so you can continue shopping with the money earned for shopping! Compatible with iPhone, iPad, iPod Touch (requires iOS 10.0 or later), and Android 4.1 and up. 6. Target has an app that'll bring everything you love about Target to life, plus more. For an example of what to expect, you can find an item you really want and be matched with coupons to lower the cost. Compatible with iPhone, iPad, iPod Touch (requires iOS 10.0 or later), and Android 4.4 and up. 7. Groupon brings the same awesome discounts you love from the website to your fingertips because paying full price for anything just shouldn't exist in 2018. Compatible with iPhone, iPad, iPod Touch (requires iOS 10.0 or later), and Android (versions vary by device). 8. Hopper shows your the best possible options for flights and hotels, tells you the best times to buy, and even finds the cheapest dates for you. Save that money for a souvenir or a delicious nom, not an airbus or a place to sleep. Compatible with iPhone, iPad, iPod Touch (requires iOS 10.0 or later), and Android 5.0 and up. 9. 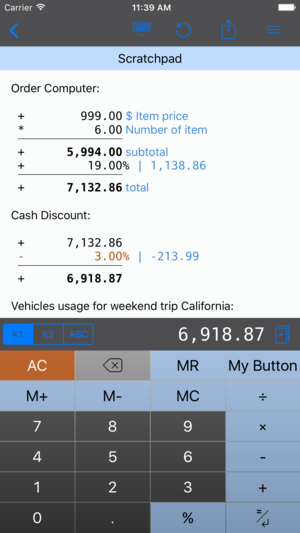 Chekchek has an easy-to-use interface that'll bring your checkbook to life on your computer screen. 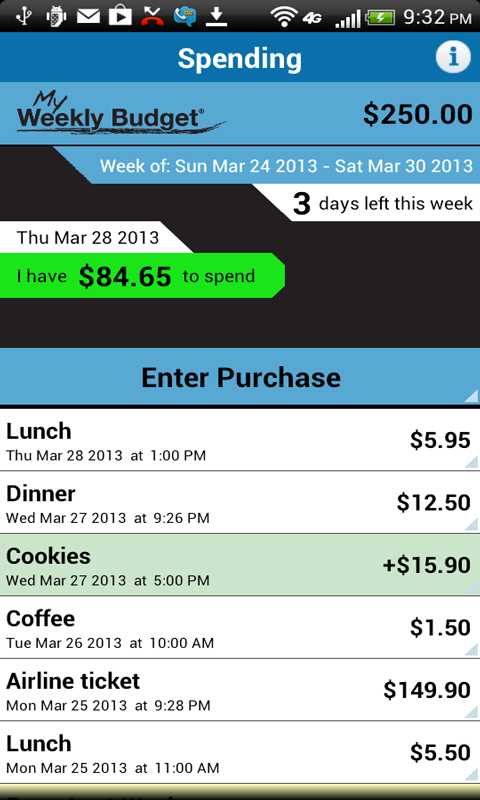 If you're sick of paper checkbooks, this app is perfect for you. Compatible with Mac only (requires OS X 10.8 or later). Download it for $1.99 from the App Store. 10. Raise allows you to sell your unwanted gift cards for cash, and buy other gift cards you really want for at a lower price than what's listed on the gift card. Compatible with iPhone, iPad, iPod Touch (requires iOS 9.3 or later), and Android 4.3 or up. 11. Goldstar truly deserves a gold star because thanks to this amazing app, you are on your way to seeing the hottest shows and concerts at a way discounted price. Enjoy the show! Compatible with iPhone, iPad, iPod Touch (requires iOS 9.0 or later), and Android (versions vary by device). 12. 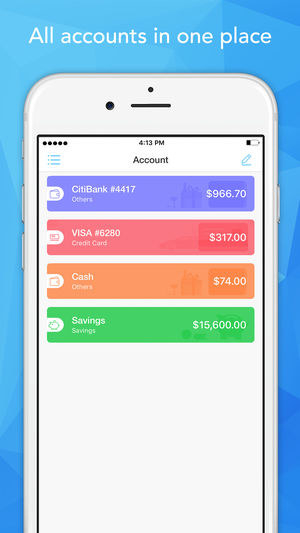 Savings 2 makes tracking your money a colorful, organized adventure. It can help you save your cash responsibly, and keep you aware of where it's going at all times. Compatible with iPhone, iPad, and iPod Touch (requires iOS 9.0 or later). Download it for $2.99 from the App Store. 13. 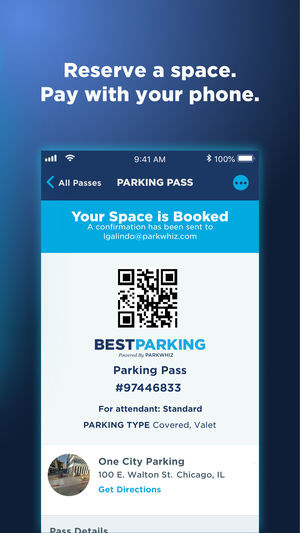 Best Parking knows the cheapest parking options near your destination. 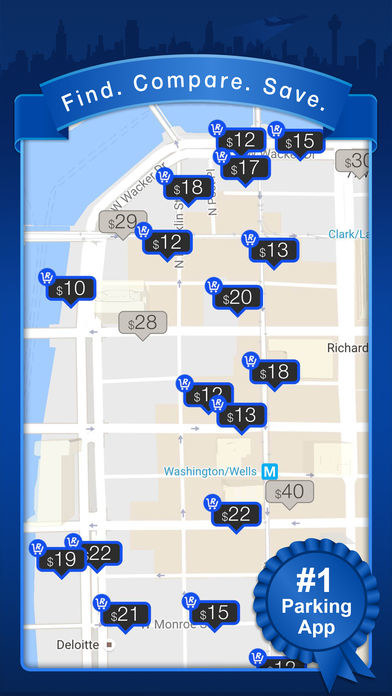 You're already paying so much for your car and gas, so let this app help you save on a parking spot. 14. Chronicle reminds you to pay your bills, so if you tend to be a tad bit forgetful, no worries. This app is here to save the day. Compatible with iPhone, iPad, and iPod Touch (requires iOS 10.0 or later). Download it for $4.99 from the App Store. 15. Wallaby keeps track of which cards you own, and when it's time to go shopping, just tell it which store you're at, and it'll tell you which card is best to use to maximize the rewards you'll yield. Compatible with iPhone, iPad, iPod Touch (requires iOS 10.0 or later), and Android 7.0 or up. 16. 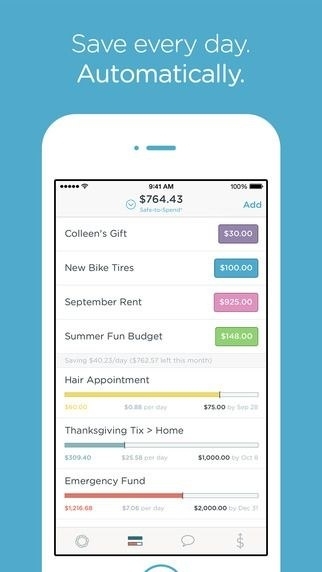 Clarity Money is an accurate name for this handy app that provides a literal sense of clarity as it helps you save money, plan budgets, track all of your expenses, monitor your credit score, and more. Compatible with iPhone, iPad, iPod Touch (requires iOS 9.3 or later), and Android 4.4 or up. 17. 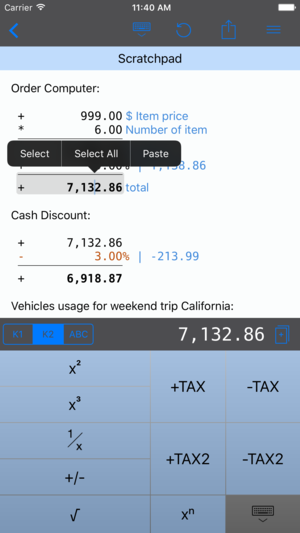 CalcTape combines a standard calculator app, desktop calculator app, and notepad app into the best calculator app ever for those who want to be good at financing, but struggle with even the simplest of math. Compatible with iPhone, iPad, iPod Touch (requires iOS 9.0 or later). 18. Digit serves as a sort-of financial counselor without any chatting or payments. Set your goals and it'll help you work toward them in becoming a money-smart individual. Compatible with iPhone, iPad, and iPod Touch (requires iOS 8.0 or later).